When it comes to sturdiness and maximum space, the MR Direct 3322S stainless steel sink ensemble is the optimum choice among the 90° models. 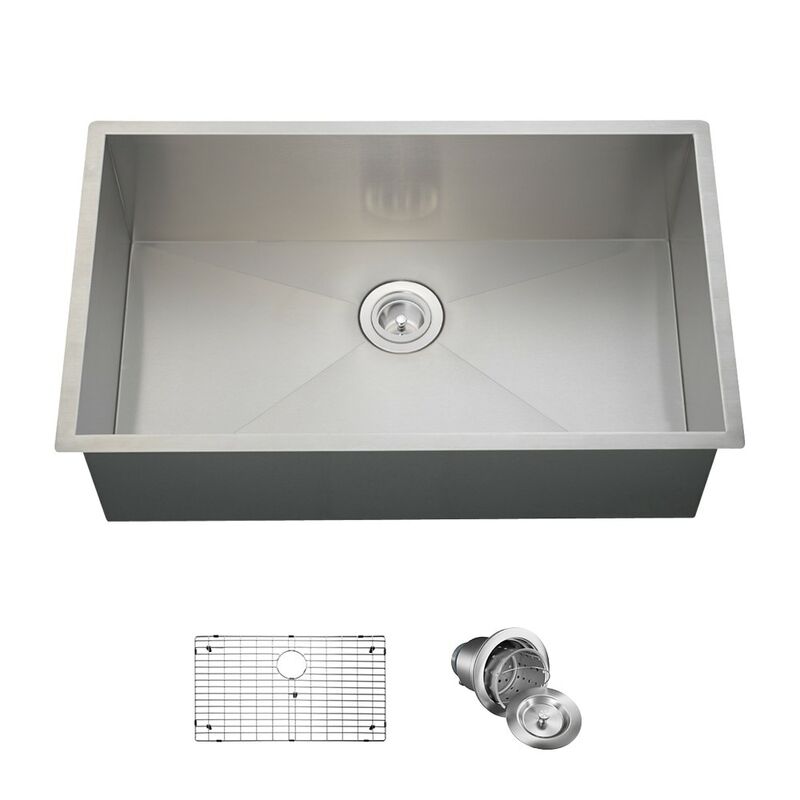 Constructed of superior 304-grade stainless steel, at a heavy-duty 16-gauge thickness; this sink comes in as one of the most durable models available. The perpendicular corners and depth over ten inches, maximizes the interior space to handle oversize cookware, long handles, and a larger quantity of utensils. Sound-dampening pads reduce noise, insulation prevents condensation, and offset drain creates extra upfront room under the countertop. This ensemble includes a custom-fitted grid tailored to keep items off of the basin bottom and a basket strainer to catch scrap materials.